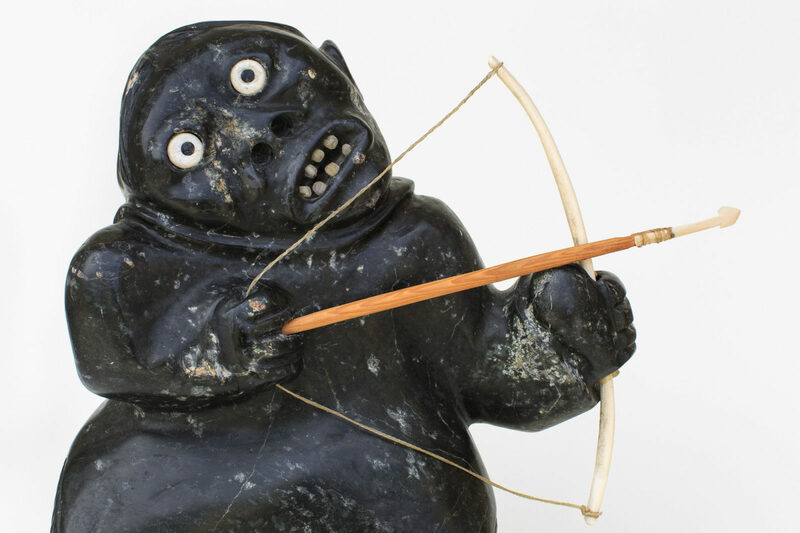 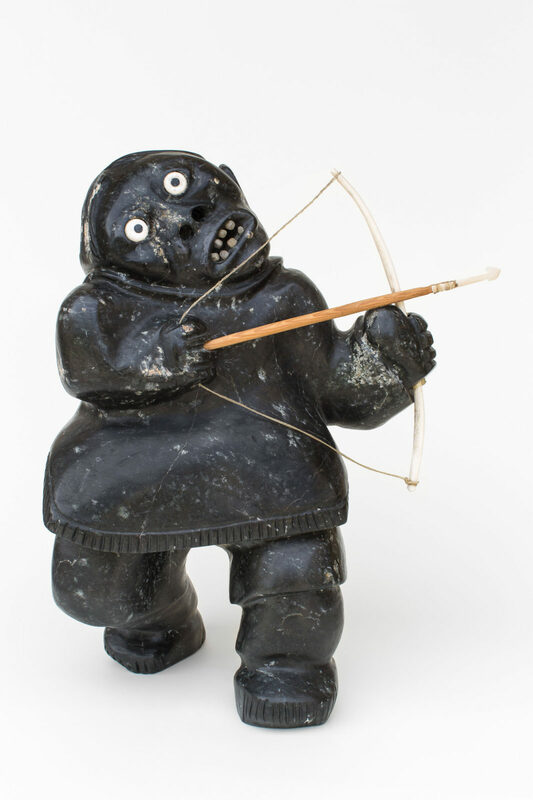 untitled (archer), stone, antler, wood, sinew, 20 x 17 x 11 in. 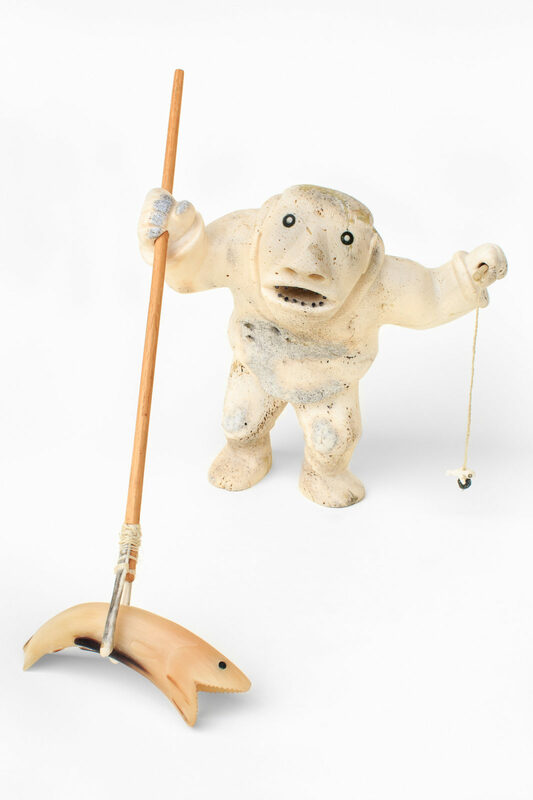 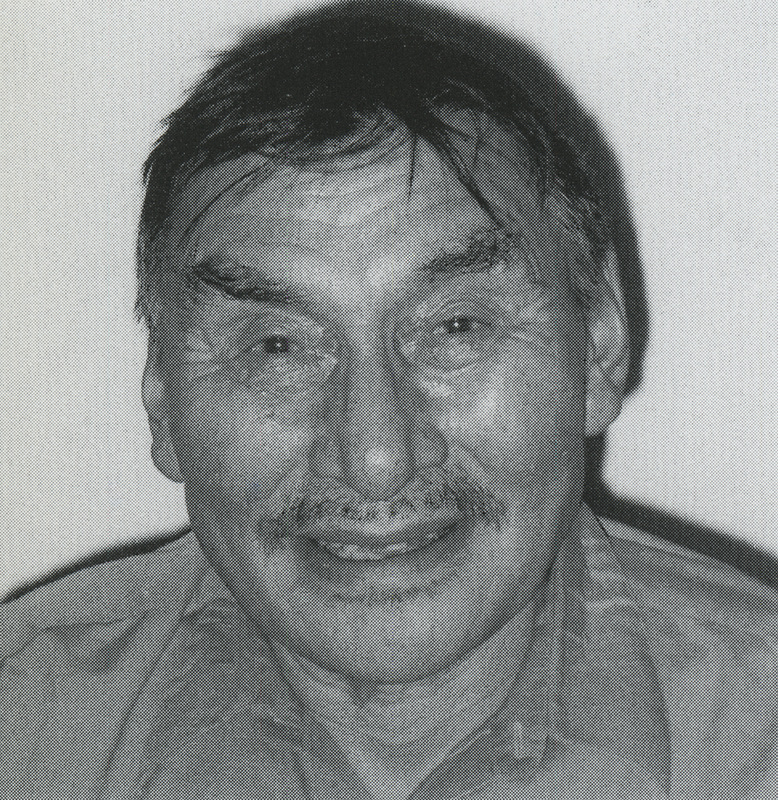 untitled (fisherman), c. 1985, whalebone, muskox horn, wood, caribou antler, sinew, 11.5 x 11 x 14 in. 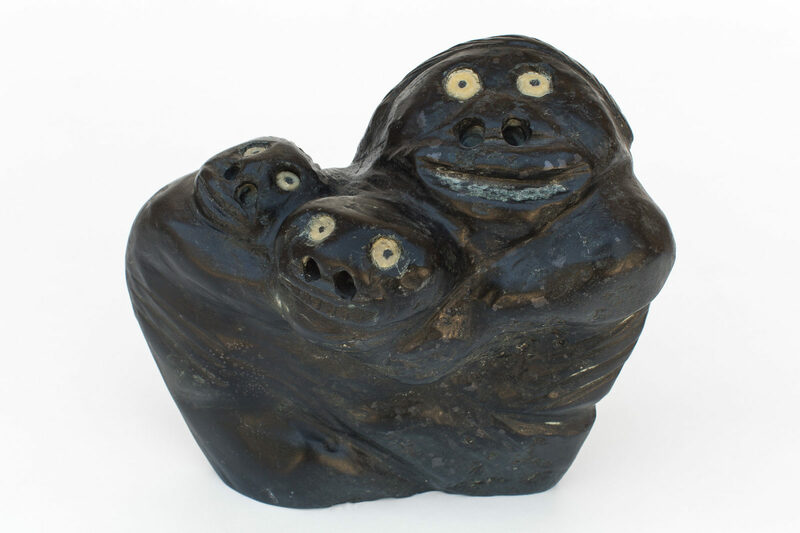 untitled (three faces), 1997, stone, 8.5 x 9 x 4.5 in.